BetaList features the newest startups. Today, we take a closer look at a beautiful writing app for crafting notes and prose. Submit your startup to get featured too. 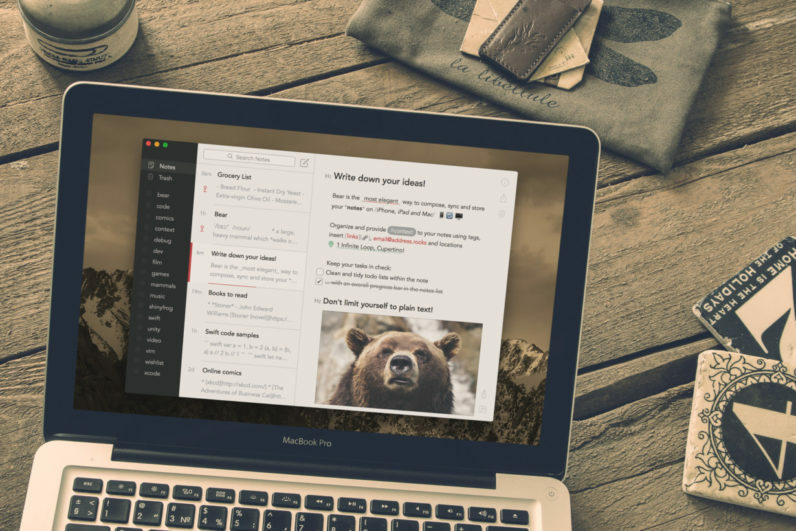 Bear allows you to write everything from quick ideas to essays and even books, then send your work to just about anywhere it can go. You can use tags, todos, cross-note links, and Markdown to stay organized and on task, and write faster than ever before. Bear was originally just a personal project. I needed something simple and fast for moving pieces of information from my Mac to my iPhone, but then my coworkers at Shiny Frog got interested. We started using it internally and adding features, and pretty soon it became a “real” app that we realized other people might want to use too. So here we are! We have nearly 10,000 beta testers now, and they’ve given us some great feedback, much of which is in the works or has already been implemented for our second, upcoming major beta release (which I guess we’re announcing now—surprise!). A lot of feedback has centered around adding more typography options, enhancements to editing features and using tags for organization, and praise for the overall writing experience.